@jillbinder: First I’d like to hear about what you’ve been working on, any promotions you’ve done or are planning to do, any trainings you’ve run or are planning on running, anything else related to our team. @miriamgoldman: I’m getting ready to run a train the trainers session with Larry at the end of the month. I’m also going to be promoting the training, and our group, at WCLAX next week. Once my workload decreases at the day job, I’m going to run an actual in-person training session here in Ottawa. I have a friend who wants to do it, and there might be other interest. @jillbinder: Have I or @lswanson shown you the script yet? If not, I’ll send that to you after the meeting. @miriamgoldman: Not yet @jillbinder, so sending it along would be great! @jillbinder: nods It’ll be up in public on the Training site soon, but is not quite yet as far as I know. When we talk about the Training section, we can talk about how Angela and I did it. She lead while I watched and jumped in to fill in blanks as needed. Now she’s ready to do on her own (in my opinion……). But there’s also the option to watch while someone else leads, too. Like @webrite recently did. 🙂 I believe she feels ready to start training too now. @jillbinder: That sounds great, @simo70 . What is a “one to one workshop” ? @jillbinder: Wow, @simo70 ! That is fantastic. Also thank you again for running it so many times for full groups, too. You’ve been a star with this. @dianewallace: I have been talking to WordPress London about doing something, such as a workshop event, with the training – either stand alone or as part of a contributor day… I just need to do the training myself first! Great work, everyone. We feel quite on track. I’m feeling pleased. @jillbinder: Speaking of on track, my report starts with numbers. Wooooo numbers. Our full number of folks who have expressed interest in some fashion: want training, have been trained, have run it with or without training: 45 !! That actually includes the folks who have run it for more than one group: @sheilagomes and @simo70 in particular have added to that number. The number who have been trained by us and/or who have felt ready to run it without our help: 32 ! A special mention goes to how many of those folks are members of our team: 14 ! I’m really pleased at our own team’s high participation. Particularly after my recent revelation that that was a priority for us. Also, when @kelliwise ran a training, a number of those folk joined our team, so they added to our number as well. That is the number that I am aware of, but it’s possible it has been run more times than that. Our goal for the year is 27, so I’m very interested in finding out if there are others that we don’t currently know about and have tracked in our spreadsheet. Does anyone have ideas on how we could find out who else has run it? None? I have a couple of ideas for how we could find out if anyone else has run it…. Wondering what your thoughts are on these. We could ask the Meetups in the next newsletter that goes out. We almost always have an article in it, so we could include it in our article. 2. We can look through all the titles of Meetups that have been run this year and see if any look like they could have been our speaker training……. Thoughts on these? And/or do they jog other ideas? @dianewallace: We could ask our local meet ups to tweet/message all their local communities? For the second idea, looking through the titles of Meetups, would anyone be willing to spend 1-2 hours within the next couple of weeks, before our next meeting, to do this? @andreamiddleton can tell us how to view all the Meetups titles. @andreamiddleton: It just does it in CSV form only :slightly_smiling_face: and it’s not publicly available yet — lemme know time periods and I can export a report. Fun fact: between June 1 and Sept 1, our chapter had 1335 meetup events! @jillbinder: Thanks both! Maybe you can both split it up and do half each? We can get it in the Meetup newsletter going out later in September, and we can ask our local meetups to tweet/message their local communities asking them. @dianewallace’s idea doubles as a way to promote what we’re doing, too. I like it. @jillbinder: I’ve gotten some good feedback from some folks on our team and a group not on our team who found it useful. I just need to finish incorporating the feedback, and then it’s ready to show the larger WordPress community for their feedback. My goal is to finish it today or tomorrow and post it on the Make Community blog with a deadline of our next meeting. That way it’ll overlap with the Community meeting a week from tomorrow. And then in 2 weeks I should be able to incorporate that feedback then and then get it on up in the handbooks. Particularly to our WordPress folks, of course. Tweets, mentioning at WordCamps, putting it into one of the Meetups newsletters, etc. Would you like to run a Train The Trainers coming up? By yourself, as the lead with someone who is trained being your support, or watching/being support while someone else leads? I’m also interested in: Having you run the workshop for your local community, or even remote communities online. Do you have what you need for that? @dianewallace: If there are any coming up I will sit in, but I should be able to just go through the training on my own tbh. Just need to find the time! @jillbinder: Sounds good, @dianewallace. You have the option of sitting in on one, or if I haven’t already, I can send you the recording and the script. @jillbinder: We have one running Sept 29th at 9am Pacific time. That is within an hour of this meeting, so it might work out in your timezone…. @jillbinder: I know @angelasjin is happy to run another, so let’s also talk about what would be good timing for that. How about sometime in September or October, Angela? @angelasjin: I can run one the week of October 15th! @angelasjin Great! You can either pick a day that works for you in 9am PT, or you can doodle poll the folks in Helpscout who want the training and see what would work for them. @jillbinder: Is anyone else either ready to run the Training or the Train the Trainers, or have a question that will help them get set up to do it? @jillbinder: In our last 2 min, anyone have other questions or items related to our team’s work that they’d like to bring up? Wonderful. Thanks all for attending. If there is anything, you can always reach me here or in DM afterwards. I feel great about how we’re doing. Thank you all! 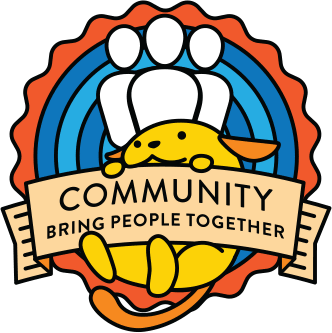 ← Meetup organizer newsletter suggestions for September?